Our Photography especially Sunshine Coast Japan Festival. Our Non Profit Organisation “Happy Community Network” is based in Dicky Beach on the Sunshine Coast. We always update our activity & event. Please read them. In middle of August(from 13th to 16th Aug), In Japan we have Obon holidays. Obon means the festival of souls. This is very unique and one of the most important family holidays. It’s believed that ancestors’ spirits to return to the world of the living on the day. Family gets together to think and appreciate their ancestor. It’s a Family reunion. On the more festive side of things, at night, people head to the local community center or hall where it’s like a big carnival. There’s lots of music, dancing and vendors selling food, toys, and souvenirs. People usually wear Yukata(lightweight cotton kimono) and join in the big community dance. 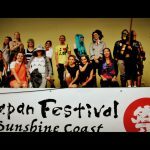 Japan Festival Sunshine Coast 2019 is coming soon!! 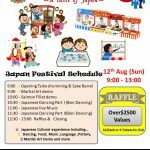 Japan Festival Sunshine Coast 2019 Stall Holders Wanted! 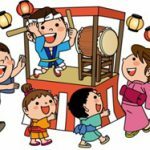 Japan Festival 2018 is coming soon! Can’t wait to see you tomorrow 9AM – 1PM @ Currimundi State School combined with Currimundi Country MarketsWe are combined with Currimundi Country Markets so outside is the farmer’s market and Japan festival is in the hall.If you missed all info about Japan Festival 2018, please check this update info. 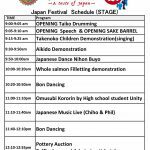 All information is here– Japan Festival Program– Layout– Food & Culture & Healing Price list– Food picture & Healing Info Please purchase tickets first from $10(5 tickets)You can park your car at the Currimundi hotel opposite of the school. Copyright © Happy Community Network Dicky Beach All Rights Reserved.